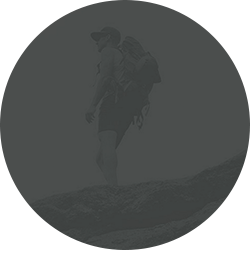 After receiving the news that I tore my ACL and a full reconstruction was ahead, I started diving into supplements and recovery assistance. 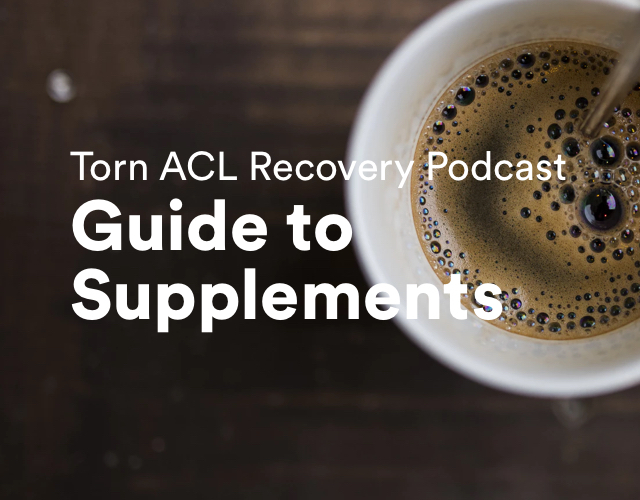 What supplements help in recovering from ACL surgery? Being an athlete all my life—basketball, crossfit, cycling—I’ve always relied on supplementation of some kind, but never for surgery and an intense rehab protocol. Food is always a big part of recovery, too, so keeping smart and sensible there wouldn’t change throughout my recovery. I won’t discuss food here, but eating terribly obviously won’t help your body recover! Like most ACL reconstruction (ACLR) procedures, and really most major surgeries, I was told to stop taking any supplements two weeks before my surgery date. That was a little discouraging to be honest, but I understand the pros outweigh the potential cons in terms of other drugs, blood thinning, and of course general anesthesia. Since I’m settling into more of a routine, I want to cover what supplements I’m taking to aid in my ACL surgery recovery. For reference, in terms of timing, I started back up with these 5-7 days after surgery when I was ramping up into PT. A note before we go any further: consult with your doctor if you are unsure what you can or cannot be taking. I’m not a doctor and certainly not yours! Personally, I waited until I was totally off any hard painkillers and was functioning relatively normally again before commencing this routine. This came up in a lot of searches around inflammation, bone and tissue healing, and general joint health. The Cissus plant’s healing properties have been lesser known in the Western world, but time and time again it ranked at the top for joint health and associated healing properties. I take 2000mg (two capsules) daily. This is perhaps the most “controversial” supplement on the list (if you can call it that) simply because there has not been any scientifically proven joint benefits when tested. If you do some digging you’ll find split results: some people love it and others think it’s a placebo. Either way, if there’s a chance this helps with healing, elasticity, and recovery in my knee, I’m going to give it a shot over the first few months. I take a full dose (four capsules) daily. This is the old standby that helps our bodies in multiple ways. From general immune system health to reducing inflammation, the C is great. It’s also known for bone and tissue healing, which comes into play at the graft tunnel site and associated tissue damage from surgery. I’m taking 1000mg (two capsules) daily, although I’m aware I could take more. I take fish oil on the daily regularly, and in this case I really like the Nature’s Bounty brand. It’s not too fishy and digests easily for me. Especially while in recovery mode, I want to keep taking something that promotes cardiovascular health even when I’m not able to be as active. I take 1400mg (one capsule) daily. This is a relatively new supplement for me, but I’ve read that the repair upside of collagen is terrific. Ligaments contain a substantial amount of collagen, and it’s a protein that accounts for much of the proteins in the body. It’s been known to aid in joint health and healing, delivering much needed collagen proteins to the injury site. I put one scoop in coffee, and also most days I’ll add an additional half scoop into my BCAA drink. Bonus: one scoop adds 9g of protein. An old standby for recovery after workouts, BCAAs are something I’ve taken for a long time. They help aid in muscle recovery and soreness, and are known to trigger protein synthesis. I’ll mix one scoop with water into a Blender Bottle, often times with a half scoop of the collagen peptides noted above, once a day. The Scivation Xtend company offers a lot of exotic flavors, but I personally keep it simple with grape. Another product my wife and I have been consuming for some time, this specific (grass fed cattle) protein is really tasty. It mixes well with other ingredients for shakes or a morning bullet proof coffee. I don’t need to go into too much detail about protein in general, but this simply supplies the body with extra protein to aid in muscle recovery, growth, and sustainability during recovery—and ongoing physical therapy activities. One scoop provides 23g of protein. I started taking this supplement last winter when the cold season kicked in, and I noticed a substantial difference in my immune system keeping nagging cold bugs away. I typically question any anti-cold supplements, but alas, I find this works for me. After surgery is no different, so I continue to take 575mg (one capsule) daily. This supplement is known to promote brain health, boost energy, and improve nervous system function among many other things. This particular brand also includes an extra boost of Vitamin C. I am taking one capsule daily. When swelling persists in the joint after surgery (weeks/months later) as it has for me, Turmeric was recommended to me by my PT to have on hand for the daily routine. Hopefully I’ll only need to go through a bottle or two, but I like this as a natural anti-inflammatory. This isn’t an exhaustive list by any means. For example, I’ve seen Vitamin A, Vitamin E, and Zinc brought up quite a bit around ACL surgery recovery. One list isn’t the ultimate list, of course, so figure out what works for you and consult with your doctor if you have questions. Fellow ACL article writer Nina Elise also covers a plethora of natural oils on her blog from her recovery process, for what it’s worth. As I’m Colorado-based, CBD came up as a remedy for muscle aches and pains that occur during recovery (and throughout the rehab process). With the right CBD product, you’re not getting THC—or much at all—so this isn’t about getting high by any means. But if that helps you, too, go for it! CBD has been known to help with inflammation, pain relief, and a whole host of other benefits. Just look it up. I’ve ended up using Mary’s Medicinals Elite CBD Muscle Freeze 1-2 times a day, usually morning/midday and before bed. This product has a nice soothing effect with a touch of icy hot tingle. It’s no surprise that a cabinet full of supplements isn’t cheap. But given the context of recovery from surgery, what’s another couple hundred bucks to give you the best chance at recovery? What about recovering even stronger? I figure if countless thousands go into the surgery, and countless hundreds go towards physical therapy, this is a drop in the bucket. And a very important drop, right? What works for you? What have you found gives you a noticeable difference? What doesn’t work for you? Feel free to share your thoughts and experiences here. And best of luck in your recovery! Great information, thanks so much!